You know that when you buy Emilio Pucci you are investing not only in style but in originality too. 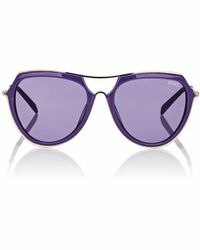 The brand was set up back in 1945 but has grown into one of the foremost names in fashion. 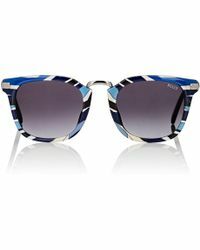 Thanks to a commitment to continually pushing the trends, as well as developing its distinctive Pucci prints, the label remains a perennial favourite for everything from scarves to totes. 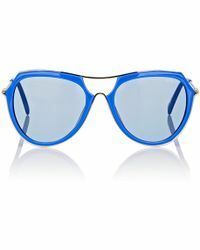 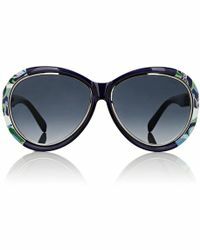 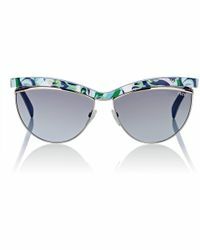 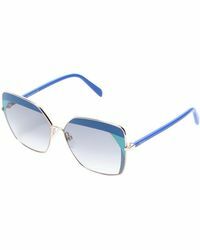 The line of sunglasses from Emilio Pucci includes classic square designs, aviator-style frames and cat-eye looks. 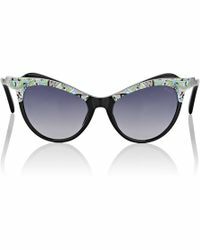 There are hexagon-shaped glasses, butterfly sunglasses and classic rectangle shapes, as well as a range of coloured lenses and print-adorned frames.